Wont you be my neighbor? MPLS - imPulse joins Bart Buch and In the Heart of the Beast Puppet and Mask Theatre for a staged summer production celebrating Phillips Neighborhood of Minneapolis. The performance features vocal music and staged puppet vignettes that utilize texts and themes from residents living in Phillips. Young Dance, Powderhorn Theatre Arts Group, and St. Pauls Lutheran Church will all make guest appearances. Wont You be my Neighbor? culminates with a lantern procession led by The Phillips Project youth and partners United Tribes of Little Earth, Waite House, and PPL's Collaborative Village Initiative. We will travel from In the Heart of the Beast's Avalon Theatre at 15th Avenue & Lake Street to Powderhorn Park (approx 5-6 blocks). Audiences should be mobile and dressed appropriately for the weather. If you have questions, please call In the Heart of the Beast Puppet and Mask Theatre at 612.721.2535. 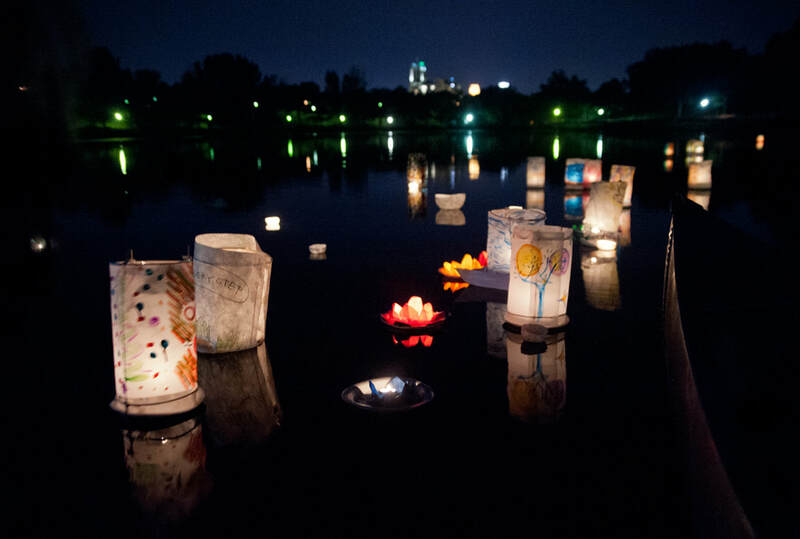 Are you interested in making a floating lantern to release in Powderhorn Lake? Please consider attending a free workshop sponsored by In the Heart of the Beast. For more information, please click here! *We have sold all of our advance tickets for "Won't You be my Neighbor? ", however, is likely that additional tickets will become available. The box office opens at 6:30pm on Friday, and we encourage anyone interested in purchasing a ticket to arrive early to be added to our wait list. We want you to see the show! Bart Buch is a puppet artist, poet, and teaching artist. He started in puppetry 15 years ago by creating bedtime puppet shows, about a salmon and starfish falling in love, in his backyard for friends and neighbors. Since the salmon and starfish stories, his aesthetic has stayed rooted in the poetic, romantic and intimate, but deepened in skill, style, and technique. Bart focuses on interpreting poetry from written text into puppetry arts performances and looks for the poetic qualities of any story to highlight. He seeks to convey poetry through evocative and gestural puppet movement, strong visual imagery, usually a lack of spoken word, and an enveloping musical language. Bart has presented several small independent puppet shows working with the poetry of Allen Ginsberg, Mark Doty, Adrienne Rich, Wendell Berry, Samuel Coleridge, Rumi, Federico Garcia Lorca, Walt Whitman, Dar Williams, and others, as well as his own poetry. 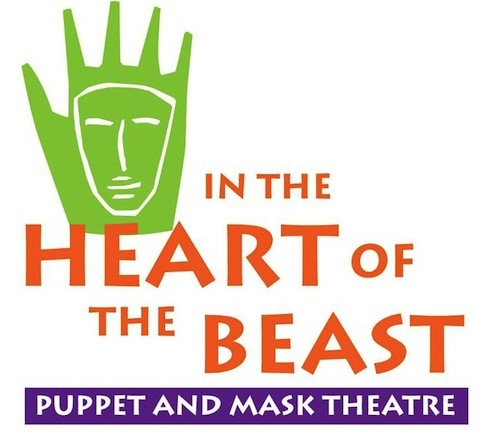 In the Heart of The Beast Puppet and Mask Theatre (HOTB) brings people together for the common good through the power of puppet and mask performance. Puppetry’s power lies in the act of transformation – of bringing something inanimate to life. HOBT uses water, flour, newspaper, paint, and unlimited imagination to tell stories that explore the struggles and celebrations of human existence. Drawing inspiration from the world’s traditions of puppet and mask theatre and its lively roots in transformative ritual and street theatre, HOBT creates vital, poetic theater for all ages and backgrounds. Each year, HOTB produces a season of original plays and tour productions; create specially commissioned pageants throughout Minnesota and beyond; and teach puppetry and pageantry through residencies and workshops to youth, students and teachers, and communities. ​In addition, each spring HOBT creates and wholly produces the beloved, fantastical MayDay Parade and Pageant, celebrated by tens of thousands in Powderhorn Park in Minneapolis.